As you could probably guess from E-ink's quarterly statements, this has not been a banner year for ereaders. The screen tech company has reported a marked drop in income, indicating that fewer ereaders were being made this year than last. And if iSuppli's projections prove true, next year's ereader market is going to look even worse. This market research firm has released a new set of projections today that predict that there will be a 27% decline next year. They're projecting that only about 15 million ereaders will be shipped this calendar year, down by over a third from last year's peak of 23.2 million units. Next year's shipments are projected to total around 11 million units. It seems that no one wants to buy ereaders anymore, and given the rise of decent sub-$100 Android tablets I am not surprised. And iSuppli isn't surprised either. They're projecting tablet sales to hit 120 million units this year, with shipments continuing to rise until at least 2016, when they project 340 million tablets will be shipped. Of course, little of this comes as a surprise. I predicted way back in January that apps (running on tablets) would eclipse ereaders (in some ways they already had), but I dismissed the possibility that ereader shipments would drop. TBH I just thought that the total number of sales would be eclipsed by tablet sales, not that the latter would rise at the expense of the former. Yeah, this isn’t really a surprise. A cheap tablet costs about the same and can do a lot more. The only real advantages to an E-Ink reader are reading in sunlight and longer battery life. My Polaroid’s battery lasts longer than I care to read, and sitting in sunlight isn’t a good idea where I live anyway. Besides, most E-readers are locked in to one store. Most tablets can use multiple apps for buying and reading books. Most cheap tablets don’t live a year, e-ink devices are still alive, working for the purpose they are made: read. Competition in tables x e-readers is pointless, is like tablets x shoes, the existence of tablets don’t make people walking bare feet, and shoes sells a lot more than tablets. 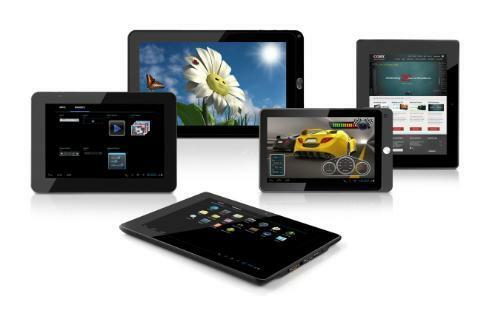 The next round of cheap tablets are the Nooks and Kindle Fires. They will lat more than a year. I don’t agree with Thomas, e-reader is better for reading. I try used tablet for reading is the worst. I’m Brazilian and I love e-reader. And you mocked me for saying eInk was dead just a few weeks ago when the iPad Mini was announced for $329. Craptabs will go nowhere. NEXT! I don’t think that it’s necessarily a matter of tablet vs. LCD — there are still a lot of people like me that *really* don’t wish to read on a backlit device for various reasons. I think that it’s because there haven’t been any major improvements since the touchscreen e-readers came out, so most people don’t feel the need to replace their already perfectly functional touchscreen, and the few that don’t own a touchscreen are poor enough to buy second-hand. It’s the same thing that has happened to the desktop & laptop computer markets since their rate of improvement similarly slowed to a crawl. Yes, I’d say this was the case too. What improvements have been made to e-ink reader for the last year? As far as I know, it’s only that glow stuff. Why would I replace my e-ink device if only adds something I don’t care about anyway? Especially if my device is still in perfect working condition. Even though I have all major ereading apps on my iPad 3, Nexus 7 , iPod Touch and various Android phones, I still never read on them: I read on eink. I bought 3 new eink readers for myself and two as presents this fall alone, so there are still readers prefering eink out there, and I know for a fact that I am not alone. Maybe tablet sales cut into the casual readers market, but people who read a lot seem to prefer eink. Just look at the Kindle Paperwhite: it is sold out globally, with delivery estimates for some time in January. The only e reader I have bought recently is the Kobo mini that went on sale for Black Friday. That’s only because I could keep it in my jacket pocket and have something to read on this winter where ever I go. I now read on my Nexus 7 because I can just have all the major players e reading apps on one device and it has a nice screen. I agree that the number of e ink readers will decline this year. They will have to remain below $100 to have a great sales impact. I can’t see next fall’s Kindle having as much an impact as this years or last years. I know I could be horribly wrong but what can be added to make people want/have to replace theirs? Last year it was touch which would seem great over the previous keyboard models and this year the frontlight. The only thing it could do next year is be smaller and skinnier. It’s because tablets have progressed much more in the past few years — slimmer, faster, cheaper, both Android and iOS — now, for less than $200, you can have a quality tablet that does email, apps PLUS ereader. While the e-ink devices have certainly share the downward arc in price, they have not improved much — for instance, very disappointed in the Kindle Paperwhite — it was a step forward in price and the slightly increased resolution — but that is offset by lesser storage, a backlight that doesn’t seem to offer any advantages (I find reading the Kindle Paperwhite in dark / half-lit rooms to be a far worse experience than say a Nexus 7). Now, if a color e-ink tablet could be delivered, even one sans-apps with a decent upgraded “non-experimental” web browser, that I would be willing to pay a premium for. But alas, that not where this market is headed at this point in time. Cheap tablets might be good for those who don’t read, or can’t afford/have never really seen a good tablet. The iPad is a great tablet, the Nexus and the Kindle Fire are plausible. But neither is a replacement for those who read regularly and for extended periods, simply because they are backlit. I’ve been waiting to replace my Kindle DXG with something touch and large format (no stylus, please), but there is nothing that fits on the market. So, I haven’t replaced it.